Alternative rockers Hoobastank are back with a new song, “More Beautiful,” which marks the first bit of new music off the band’s upcoming studio album, “Push Pull.” The new album, which is out May 25 via Napalm Records, will see the band members “exploring both rock and pop songwriting with a renewed vigor,” according to a press release. Listen to “More Beautiful” and check out the lyric video below. 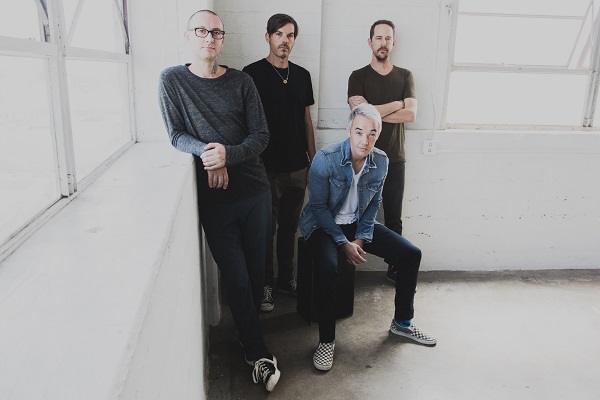 “Push Pull” will mark Hoobastank’s follow-up to 2012’s “Fight or Flight.” The band – which includes lead vocalist and rhythm guitarist Doug Robb, lead guitarist Dan Estrin, drummer Chris Hesse and bass player Jesse Charland – joined forces with producer Matt Wallace (Deftones, Faith No More, Maroon 5) for the collection. The result is a sound that pays tribute to the big ’80s and ’90s alternative rock of U2, INXS and Duran Duran, while keeping the familiar Hoobastank vibe. One album standout, “Fallen Star,” was inspired by a memory of Robb “watching television one night and seeing a military family of a soldier who had died in combat.” The moment made him think of the brave men and women who serve and parents of those who serve. Other album highlights include the title track, “True Believer,” “Better Left Unsaid” and “There Will Never Be Another One.” View the full track list below.